There’s no place like home, except Grandma’s. Especially when there’s apple crisp involved. I’m so lucky to have loving grandparents who are willing to host a double date with me and Bjork! And who share their best + easiest apple crisp recipes with their eager granddaughters. And who offer to let us take the leftovers home. And who are learning how to use the computer so they can email their grandchildren and read blogs! And for making delicious apple crisp. Did I already say that? And who are sweet, funny and wonderful. Thanks, Grandma and Grandpa, for a fun dinner date! 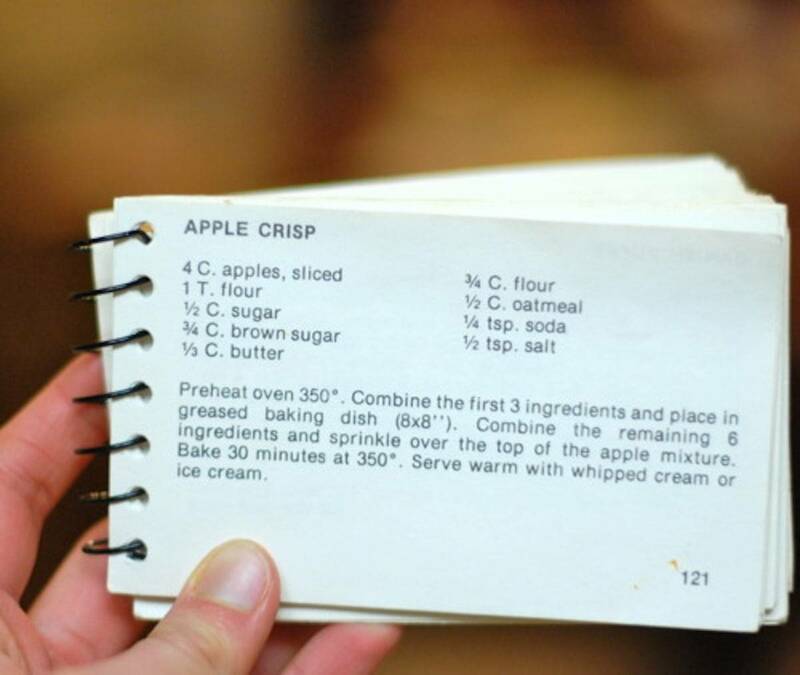 My Grandma’s recipe for warm homemade apple crisp, served like bars and topped with vanilla ice cream. There’s no place like home, except Grandma’s. Combine the first three ingredients and place in a greased 8×8 baking dish. I can’t wait to try this out! It looks so tasty and the perfect dessert! Ill just wait a few weeks until my apples are grown on the tree! Hi Jenna, this recipe looks delish! I was just wondering is the butter supposed to be melted in the recipe or cut into to make a coarse topping? plan to make it this week. What a lovely post. Thank your Grandma for sharing; it’s apple season again and this will make my house smell so delicious when it’s baking!